This film is a part of a Double Feature with The Maltese Falcon. When two movies that are screening in the same theatre are grouped under the same thematic heading, one ticket is good for both features when viewed back-to-back on the same day (except as noted). Fred MacMurray, Barbara Stanwyck, and Edward G. Robinson. Legendary director Billy Wilder brought his consummate skill to everything from romantic comedies to courtroom dramas. 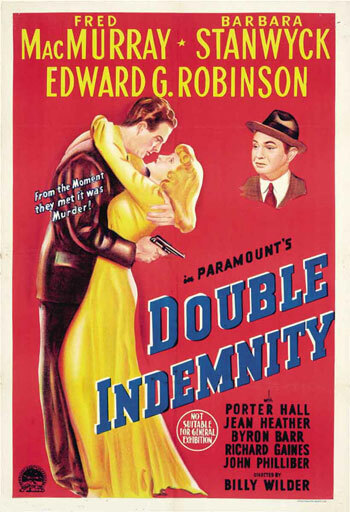 With this film, he made the film noir standard bearer and got career-topping performances from his cast, featuring Fred MacMurray as a smitten insurance salesman and Barbara Stanwyck as the housewife doing the smiting.